The relation of Brother and Sister is very beautiful, they use to fight every time but they just can't leave each other! The incredible bond of brother and sister has even time and again inspired Bollywood directors to come up with highly touching movies based on the siblings love. As we're all celebrating this auspicious festival of Raksha Bandhan today, we bring you some remarkable Bollywood films which showcased the bond of love between Brother and Sister! Agneepath, which is a remake of Amitabh Bachchan starrer 1990 year released film of the same name. The movie portrayed the beautiful relationship of brother and sister. The story was all about a caring brother Hrithik, searching for his sister. The movie was a box office superhit. The 1998 year released film starring Bollywood actors Arbaaz Khan and Kajol as siblings was another perfect movie portraying the sister and brither relationship in the perfect way. In the film Arbaaz was a highly caring, possessive brother whose ultimate aim in life was to protect his sister from all the boys. Their chemistry was induced with love, respect and incredible understanding. The 2000 year released film 'Josh' starred the Bollywood superstars Shah Rukh Khan and Aishwarya Rai Bachchan as siblings. Their brother and sister chemistry onscreen worked wonders for the film. Shah Rukh was an over protective brother while Aishwarya was a sweet, caring sister in the film. The movie was much loved and praised by the audience. The latest released film of the year which clearly showcased the incredible bond of siblings on-screen. Bollywood actors Priyanka Chopra and Ranveer Singh were seen as onscreen brother and sister who shared an incredible bond. The mutual understanding between the duo further garnered love and appreciation. 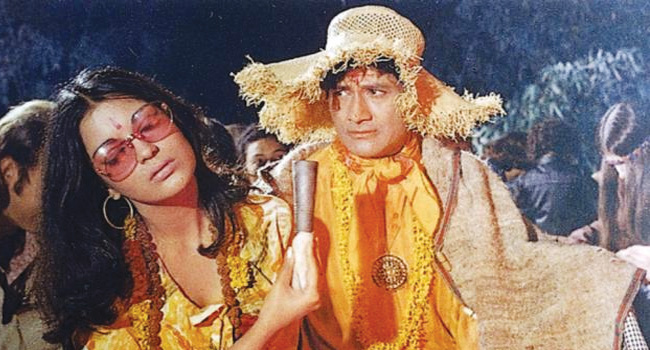 Directed by Dev Anand, this 1971 released film was clearly based on the sibling love with Zeenat Aman and Dev Anand playing the character of brother and sister. The movie even contributed one of the evergreen songs on brother-sister relationship 'Phoolon ka taaron ka'. A blockbuster movie of Bollywood that highlights the real family bonding that exists in Indian families. With this the sister and brother relationship also gets weight in the film. The three brothers in the film Mohnish Behl, Salman Khan and Saif Ali Khan's affection and sense of care for their sister is truly worth watching. Team BR wishes a very Happy Raksha Bandhan to everyone.